An engineer with a debt to pay. A historian who can't yet go home. A dancer with a sinister past. And a brother in all but blood, who might care too much. 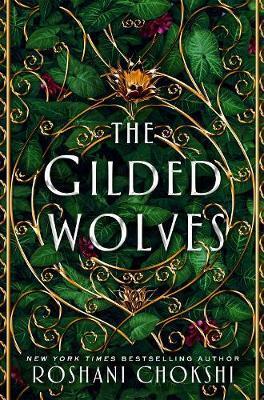 "Thrilling and gorgeous, The Gilded Wolves is another captivating book from one of YA's most brilliant voices." -- PASTE, "10 Best YA Novels of January"
BUSTLE names The Gilded Wolves one of the "28 Young Adult Books Coming Out In 2019 That Will Seriously Get You Pumped For The New Year"
HYPABLE calls The Gilded Wolves one of the "2019 Winter Books Not to be Missed"
BOOKISH, "Winter 2019's Most Anticipated Young Adult Sci-Fi & Fantasy"
SHEREADS, "Most Anticipated Books of 2019"
GOODREADS, "Best of January" and "Most Anticipated YA"
POPSUGAR, "10 of the Most Anticipated Books of 2019 -- All by Women"
PARADE names The Gilded Wolves one of "10 Buzzworthy YA Books to Read in 2019"
The Gilded Wolves is one of THE NERD DAILY's "Most Anticipated 2019 Releases"
BOOKBUB, "The Best Teen Books Coming in 2019"
THE HOLLYWOOD REPORTER includes The Gilded Wolves in a column on "new books that should be turned into movies"
CULTURESS, "19 books we can't wait to get our hands on"
"Beautiful cover? Check. Beautiful prose? Check. And this book is gloriously diverse."" - BOOKRIOT, "3 More LGBQT+ YA Books to Read in 2019"
"You'll fall in love with these characters, the world they live in, and all the promises it holds." ROSHANI CHOKSHI is the New York Times bestselling author of The Star-Touched Queen, A Crown of Wishes, Aru Shah and the End of Time, and The Gilded Wolves.